They say blondes have more fun – but let’s be honest, preserving your bleached tresses can be hard-work. 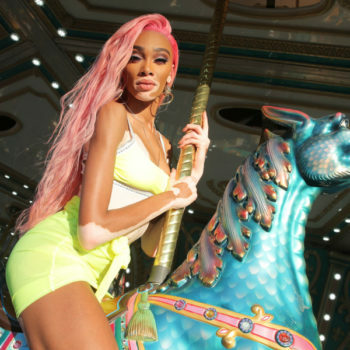 From root-growth, damaged ends to brassiness that just never seems to want leave us alone, maintaining your blondness can seem like a daunting task. But hey, don’t let that put you off taking the plunge and going blonde for the summer… it’s time to #OwnYourBlonde. To help you stay blonde for longer, we’ve put together a care package for you that will make maintaining your beautiful, Nordic blonde locks as easy as one, two, three. Did you know that the more often you wash your hair, the faster and more likely it is that your cool tone will become duller? There’s no escaping the inevitability of dullness and brassy tones creeping in, but there are a few things you can do at home to keep this at bay for longer. Firstly, try cutting down the number of times you wash your hair to pro-long that shine and cool tone. Try reducing the number of washes to 3 times a week and see how it goes – if you’re really anti-brass you may even get down to washing your hair just once or twice week. If you’re worried about greasy roots in between washes, don’t worry – we’ve got you covered! 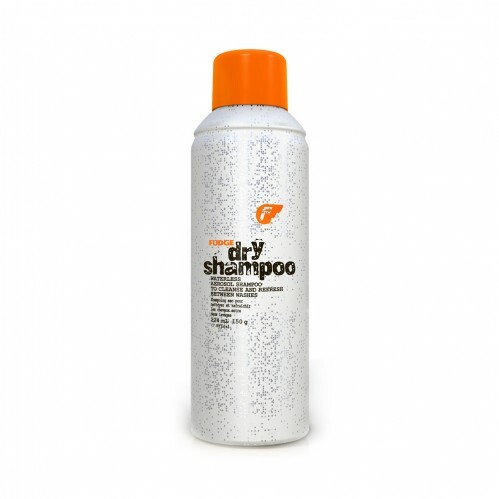 Our Fudge Dry Shampoo gives an instant, effective dry clean between washes. Whether you’re late for work, glamping at a festival or going from beach to bar, this should be on your hair care essentials list – especially if you’re going to be cutting down the frequency of your weekly washes. Another way to reduce tone dullness is to avoid vigorously washing the roots of your hair. This can damage the hair cuticle and cause your hair to tangle, frizz and give you those pesky flyaways. Side step this mis-hap by instead, gently massaging the shampoo into your scalp with the pads of your fingers and smoothly run the shampoo through your hair. To make your blonde last longer we recommend investing in a purple shampoo. Do you remember the colour chart wheel in school where you learned about colour opposites? Well, purple sits exactly opposite the colour yellow, so using purple shampoo will always help to cancel out any yellow, brassy tones in your hair, as if by magic! 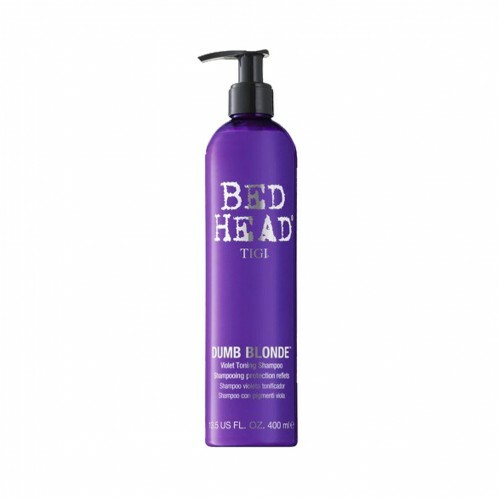 We recommend Tigi Bed Head Dumb Blonde Purple Toning Shampoo – it keeps your colour vibrant and shining, whilst refreshing hair from root to tip. It works to neutralise brassy tones within blonde hair so that your colour stays radiant for longer. 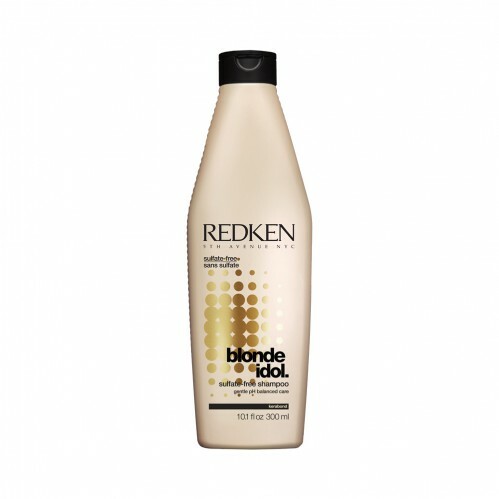 Our stylists also love Redken Blonde Idol Shampoo which is a sulphate free shampoo helping you to preserve your blonde tones and keeping your hair looking great. With a ph balanced formula, this shampoo cares for your hair, gently cleansing and softening your blonde hair. 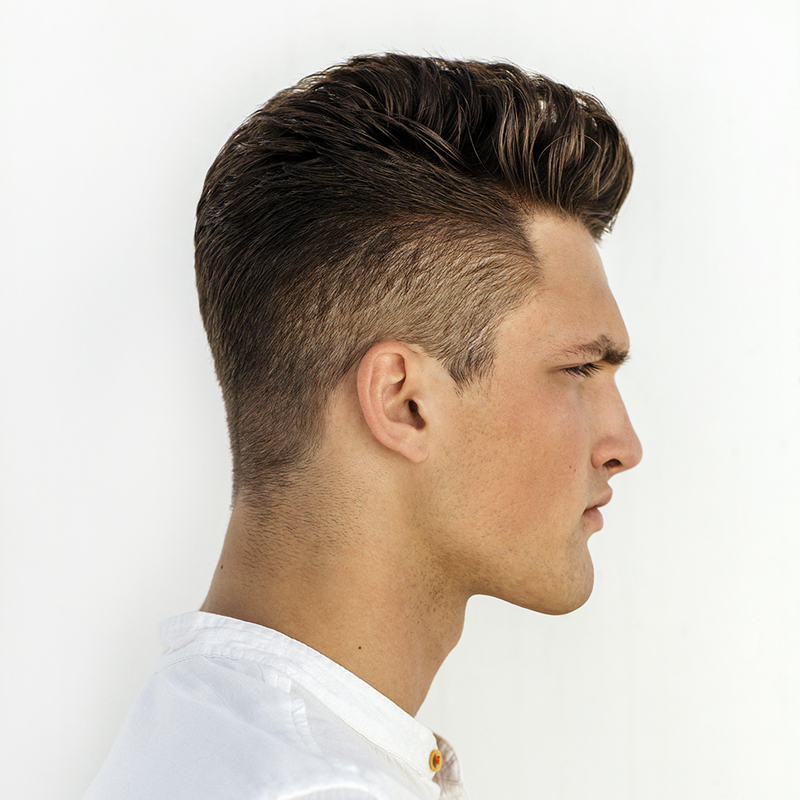 It maximises cool tones and adds shine to hair that has become dull and brittle. Keeping your hair hydrated is another important factor when you want to keep your cool blonde tone looking fresh and healthy. Invest in a good hair mask that you’ll be committed to using once a week for envious blonde hair that has long-lasting cool tones. 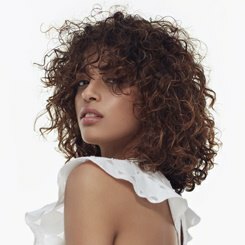 If you’re on the lookout for a good, moisturising conditioner that will help maintain your hair’s tones and vibrancy (who wouldn’t be? ), then look no further. 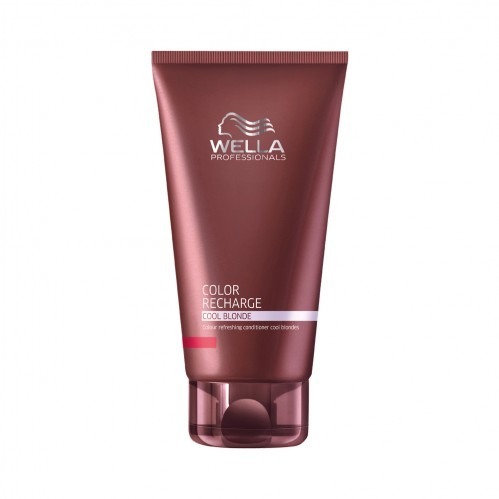 Wella Professionals Color Recharge Cool Blonde Conditioner is just what you need. Its strengthening formula helps to preserve the colour tones of silvery blonde hair. It works wonders for damaged blonde hair, leaving it feeling soft and healthy. Ta-da! 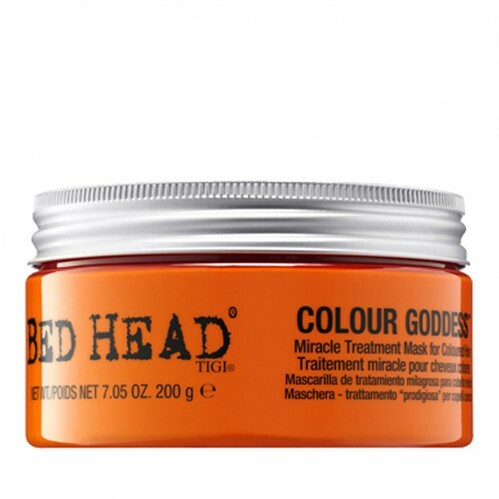 The Tigi Bed Head Colour Goddess Miracle Mask is ideal for treating your coloured hair to some TLC. It nourishes your locks to leave hair feeling soft and your colour vibrant. Don’t forget about L’Oréal Professionnel ‘s renowned Smartbond treatment which you can opt for in Regis salons. 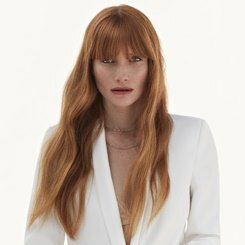 This treatment has been scientifically designed to protect the bonds in our hair, allowing the stylist to prevent the usual damage that is caused during a colouring service. Speak to your Stylist to find out more. Feeling inspired by our new #OwnYourBlonde collection? Kicking off your summer with a brand new style couldn’t be easier. We have colour experts in our salons across the UK and these friendly professionals will be more than happy to help you transition to a shade of blonde perfect for you. To book a free consultation, use our salon finder to your local salon, and give them a call. And if you’re already sporting pearl blonde hair, make sure you share a pic with the #ownyourblonde hashtag tagging in @regisuk!